Dries and helps clear up acne pimples and allows skin to heal. Spot Solution for Blemish-Prone Skin is a botanically-based formula that contains 2% salicylic acid to target blemishes and help reduce future breakouts by gently exfoliating the skin. This highly effective cream absorbs quickly and leaves no residue. 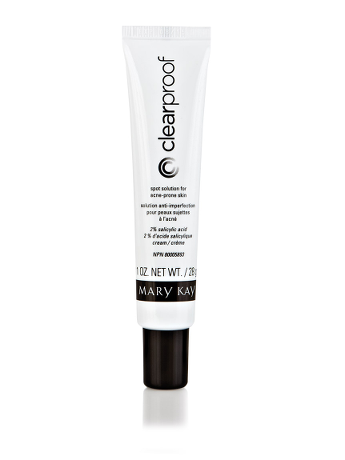 Spot Solution for Blemish-Prone Skin is part of the Mary Kay® Acne System, a very effective and unique strategy to fight acne, formulated with active ingredients and complementary botanicals. The sooner you start using the Mary Kay® Acne System, the sooner you’ll see results. After using Clarifying Cleanser for Acne-Prone Skin and Pore-Purifying Lotion for Acne-Prone Skin, apply Spot Solution for Acne-Prone Skin topically once daily to affected areas on face. Increase up to 3 times daily if needed or as directed by a physician. If irritation or peeling occurs, reduce application to once a day. Warnings: For external use only. Using other topical acne products at the same time or immediately following use of this product may increase dryness or irritation of the skin. If this occurs, only one product should be used unless directed by a physician. Avoid contact with eyes; if contact occurs, rinse thoroughly with water. Discontinue use if excessive skin irritation develops or increases. If irritation persists, consult a physician. Keep out of reach of children. 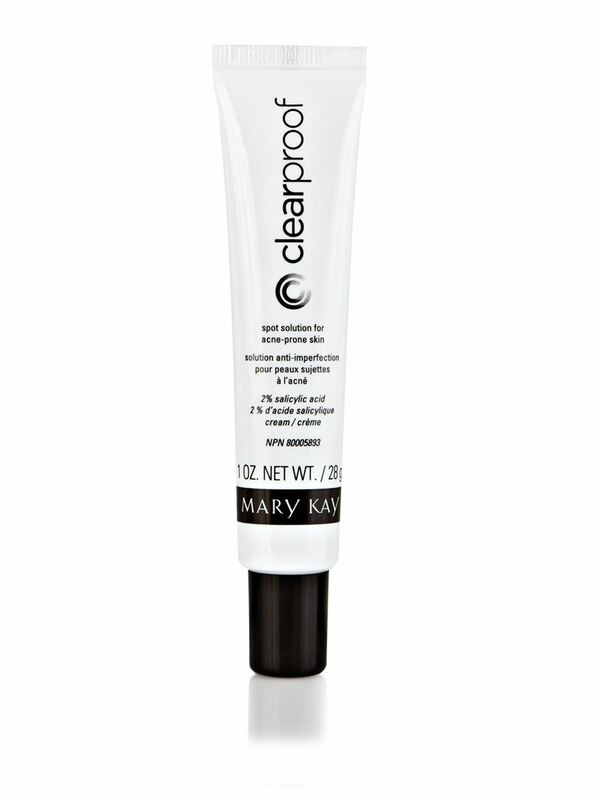 The Clear Proof® Spot Solution for Acne-Prone Skin works best as part of the Clear Proof® Acne System, which uses salicylic acid to attack multiple factors that can contribute to acne breakouts. The system has been shown effective on teens and adults, males and females, and different ethnicities from coast to coast.